You may have noticed more pink in the air. The NFL players are wearing pink cleats and wrist bands. Portal websites are displaying pink ribbons in their logos. 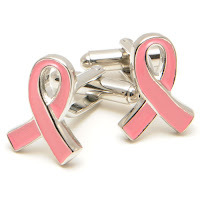 October is here and that means Breast Cancer Awareness Month. This year marks 25 years of awareness, education, and empowerment. 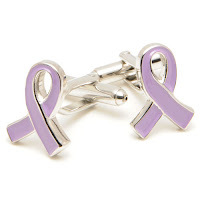 Not to diminish the importance of bringing awareness to other types of cancer, CuffSmart also has the Lavender Ribbon Cufflinks for those individuals battling cancer or have loved ones battling cancer. Lavender is the color for general cancer awareness. Sales proceeds from every purchase of Lavender Ribbon Cufflinks go to the American Cancer Society.